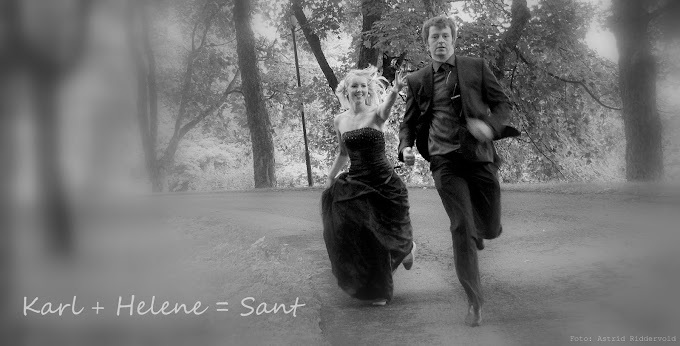 Karl + Helene = Sant: Janina, Malin, Santa Monica, San Diego and Tattoos! Janina, Malin, Santa Monica, San Diego and Tattoos! So here we have some updates on what we've been up to the last week! We have traveled for some days, and it's been a lot of fun! Janina, our friend from Norway has been visiting us this week, and we've done a lot of cool stuff together! Last Friday we went up to Santa Monica and Venice Beach and spent almost the whole day there. Always a lot of fun stuff to watch there! Norwegian version here! // Norsk versjon her! ...and she got some new shoes! Lovely stuff! Converse shoes here are half off the price in Norway! So every guest we're having here (and there's going to be quite a few!!) wants some! we walked down to Santa Monica Beach! Lovely sand dunes, and a pretty nice temperature! Janina brought the good weather with her from Trondheim, and I'm pretty pleased with that! Now it's finally summer in SoCal again! Weird photo experiment. I just did'nt find the right mode on my camera. these things happen a lot in the life of Helene, so I'm used to it! But I actually kinda liked the result. Janina found some more friends. They were quite talkative. The owner of the birds placed one of them, a HUGE parrot on me and left me there to freak out. Hehe, ok. It was kinda funny! Janina took some photos of me with the parrot, and I'm looking forward to seeing them. I think I look a bit sceptical, to be honest! We walked the whole way from Santa monica to Venice, and enojoyed the lovely weather! A lot of nice graffiti there! We spent some time by the skate park and saw a lot of awesome acrobatics! I do believe this would be a great place for my cousin Eivind, am I right? the boys know their stuff! More nice graffiti. Somebodys pooch is greatly missed. A tuna bar. Actually not bad! Janina is enjoying the sun! Pretty girl! after spendning some time in the hot tub with some cool neighbours, we had some whine and chocolate on the patio. Good times! On Saturday we went to San Diego, where we met this lovely nerd! Malin was there because of a work related conferance, and lucky for us, she had time to meet us while she was there! We had some yummy food and dessert at The Cheesecake Factory in a mall called Fashion Valley in San Diego. Janina bought herself a chocolate-peanutbutter-and-something-else cheesecake! Mmh! it tasted as good as it looked too! After eating we went to Goodwill, the American version of Fretex, and Janina did a real scoop there! ! don't know how many pretty dresses she got there, bu it was a lot! And they all looked sooo good on her! Wow! We also stopped at Youghurtland in Little Italy. There you can take as much frozen youghurt as you want and put on whatever you like! It is so good! On Sunday Janina and I drove around in Costa Mesa, checking out some thrift stores and piercing stores, and discovered some places that were new to me as well! Loved it! We found a place where they had a some small vintage shops, handmade design, really cool stuff, and good restaurants with a nice atmosphere! I'm definitely going back there! I don't have any pictures from there, but I might take some later. The coolest thing we did that day was going to the tattoo convention Musink! Janina was supposed to meet a tattooist there, and I really wantet go as well, as I'm planning on getting a tattoo while I'm in the States! This was really a good place to find out who's good. There were a lot of talented people there, and I came home with my purse full of business cards! Haha, I'm such a noob! Ok. Judging by this guy's relaxed posture and mimic, it's not that painful getting a tattoo! Sunday evening was completed by me and Karl's participation in a "Mozart's Requiem sing-along concert". Yes, you heard me. Weird, but ok, I suppose. It was almost like the good old days when people used to gather in Richard's living room in Trondheim, bringing instruments and sheet music and doing whole pieces, including all solos and intermissions, on a casual sunday afternoon. Ah, the life of a choir nerd... I must admit that I prefer Richard's singalong version by far!!! 'Nuff said. Monday Morning we packed our bags into our golden Mitsubishi Galant and hit the 5 going north towards San Francisco! More about that in the next blog post! Your pictures are awesome as always :) Next time you go to Santa Monica/Venice I recommend renting a bike in Venice and ride the bike all the way to Santa Monica along the beach.. it's amazing! Hey this is Erik up here in Seattle - what is it about Norwegians getting tattoos in the states? Hilarious. BFFamily - Around The World! Første Road Trip i USA: San Francisco! Vi kan å lage gif! / We can make a gif!